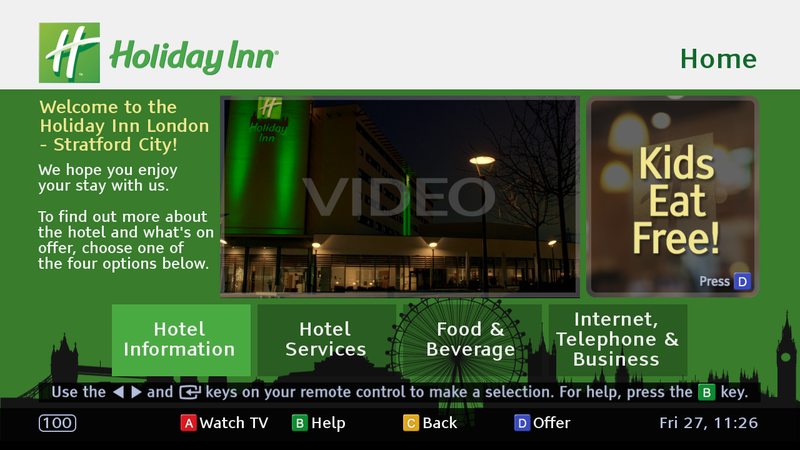 Holiday Inn London - Stratford City has invested in Airwave’s tailored ‘red-button’ guest information channel for their new 188-room site overlooking the Olympic village. Our ‘AirCAST’ hotel information system provides guests with a dedicated TV channel showing up-to-date information on the hotel, the services available, as well as local information and attractions; all via an easy-to-use, interactive system on their in room TV. The AirCAST system has been configured to fit Holiday Inn’s specific branding and content requirements, including corporate video and images. The hotel channel is also an engaging mechanism used to promote additional revenue-generating services to guests, such as in house restaurants and bars. AirCAST utilises standard coaxial-based TV distribution to deliver the service to every in-room television without any additional hardware. The Holiday Inn staff can instantly update content via a web browser. Airwave now provides content to hotels, hospitals and marine vessels in 27 countries on 4 continents, with 2,500 new rooms so far in 2012 and over 1,000 rooms due to go live this Summer. Airwave’s new customers are spread as far as Thailand, Serbia, Nigeria, Turkey, Iceland and Austria. 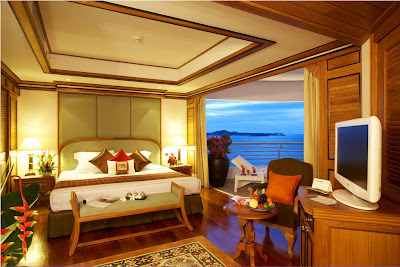 The largest of our new customers, The Royal Cliff Hotels Group in Thailand, is situated on the headland between Jomtien and Pattaya beaches on the east coast of the Gulf. It is a beautiful resort offering four 5-star hotels each with its own distinct style and ambience, amongst 64 acres of tropical gardens and private beaches. Airwave provides Blockbuster Hollywood movies to their 872 rooms in partnership with our local Content Partner in Thailand. Airwave has also continued to develop our customer base in Australia, France, Germany, Switzerland, the North Sea, as well as the UK with our existing Content Partners. This year in France, Airwave has worked with partner AllContentIPTV to provide Hollywood movies to the prestigious new Mama Shelter hotel in Marseille, which has rooms complete with 27" iMac with TV, radio, internet and free WiFi access as well as the video on demand movies from Airwave. Airwave Europe has been working with Clarenco over the past year to upgrade the TV systems at four of their unusual and unique luxury hotels in remote locations across the UK. 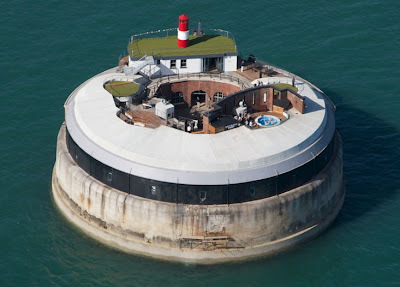 Clarenco’s Amazing Retreats are lovingly restored properties with unusual character and Airwave has helped bring life back to Spitbank Fort, Plas Rhianfa, Ackergil Tower and Stanbrook Abbey. Airwave installed the latest Samsung satellite Hotel TVs at Plas Rhinfa, Spitbank Fort and Stanbrook Abbey, in conjunction with an IRS system to allow hundreds of satellite channels to be viewed by guests, many in HD. Airwave also upgraded the existing TV cable system at Ackergil to ensure superior digital picture quality to the new TVs installed in all rooms. 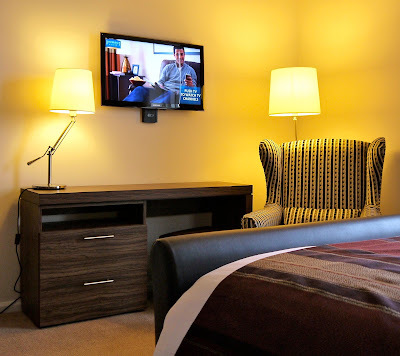 Airwave’s friendly and experienced engineers surveyed the hotels prior to installation and ensured that the televisions were mounted using the most suitable bracket for each location. Edward Clare, Business Development Executive at Clarenco said; “Airwave provided Clarenco with a fantastic level of service from carrying out the surveys to the installation of the TVs in all of our properties”. To supplement the in-room entertainment system, Airwave provided Philips DAB Clock Radio Docking Stations for all four sites. Airwave Europe has supplied and installed the televisions for the hotels at the Westfield Centre in Stratford, overlooking the Olympic Village. The Holiday Inn and Staybridge Suites Stratford City opted for the latest Samsung digital LED TVs with inbuilt satellite tuners. These sets are ideal for the Olympic village as they allow international guests access to hundreds of channels in many languages. 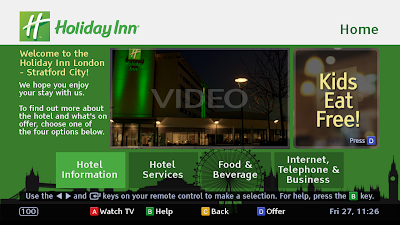 Airwave also provided the hotel with networks as well as our very own AirCAST Hotel TV Information System at Holiday Inn, which enables the staff to inform guests about hotel offers and services and local news and information. Management are delighted with the results.